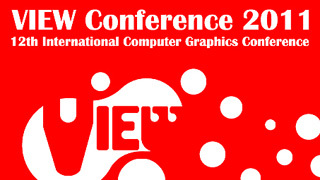 The 12th edition of View Conference looks impressive. This fast growing international computer graphics conference has quickly captured a large share European visitors, and is held yearly in Turin, Italy. With educational workshops and talks led by world-renowed filmmakers and computer graphics visionaries, this gathering is a four days long, no compromise, audio-visual experience. It's held in the polyfunctional Centro Congressi, in Turin, one of Italy's most beautiful cities and the heart of industrial production. This year's schedule is jam packed with events, and it would be difficult to list them all. Sharon Calahan, Pixar’s cinematographer for Cars2, will hold the role of keynote speaker along with Tom Wujec, Cory Doctorow, and two-time Academy Award winner Randy Thom. The complete list of speeches and workshops, with a detailed timetable, can be found here: View Conference 2011 (PDF). VFX Wizard's zBrush artist and teacher, Daniele 'Danko' Angelozzi will showcase what's new in ZBrush R4.2 in three two-part workshops.